On Wednesday, January 27, 2016, I was interviewed as a guest on The Tom Barnard Show, in Minneapolis, Minnesota, at 12:30 pm local time (1:30 pm ET my time zone). This interview was based on the ongoing polygamy news cycle from Thursday, January 21, 2016: the “Sister Wives” case, Brown v. Buhman, being heard at the Tenth District U.S. Circuit Court of Appeals, in Denver, Colorado. 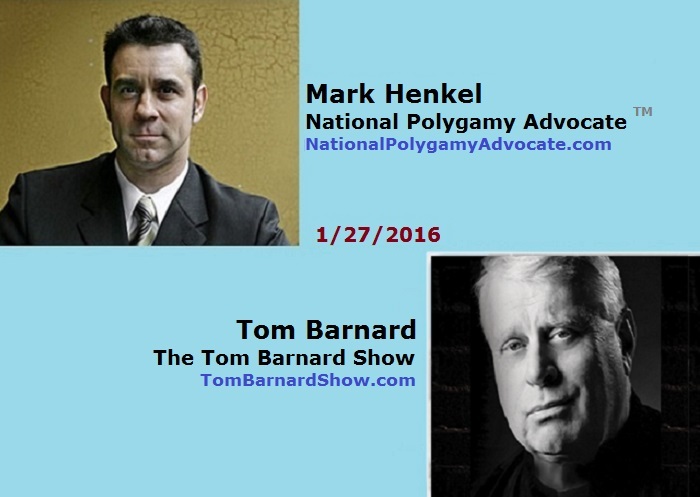 The polygamy episode was archived in their specific Podcast on The Tom Barnard Show. This interview provided yet another useful tool for activists of unrelated consenting adult polygamy – UCAP – to share when discussing the issues with others.